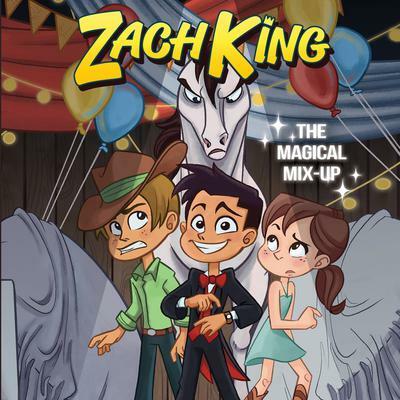 Zach King: The Magical Mix-Up - Audiobook | Listen Instantly! Zach King is a filmmaker who creates videos with a hint of magic. With more than twenty-five million followers across his various social platforms, he is one of the hottest names in digital media. He’s been featured on Ellen and on the red carpet at the Academy Awards—and he’s partnered with Lego, Disney, and Kellogg’s to create mind-blowing videos. In 2016 Zach and his wife, Rachel, competed in The Amazing Race reality television show along with other social media superstars.